As teenagers a lot of us don’t find reading very enjoyable, but it is obviously very important. So as someone who does like to read, here is my top book that I think every teenager should at least try. (In no particular order). 1) The Perks of Being a Wallflower. Synopsis: A story about a socially awkward teen, Charlie, who meets Sam and her step-brother Patrick. Sam and Patrick help Charlie discover friendship, love, music, and his inner sadness. Reason You Should Read It: Charlie is a teen in high school dealing with a lot of problems teens in high school go through. (The movie is great as well). Synopsis: I think we all know what this book is about. Reason You Should Read It: I know you are required to read this book as a freshmen but you shouldn’t just read it on sparknotes. You should actually read this book and look for the significance in what the author is trying to say. Synopsis: When Clay returns home he finds a box with his name on it. Inside he finds cassette tapes recorded by Hannah Baker, his crush who committed suicide. On the tapes, Hannah explains that there are thirteen reasons why she ended her life. Reason You Should Read It: This book is for a bit older audience. It deals with some really dark but ultimately real problems that many teens are faced with. If you do decide to pick this book up, pick yourself up a box of tissues on your way. Synopsis: Philip is stranded on an island with a black man, Timothy, when a boat escaping World War II gets wrecked. They call the island ‘the cay’ and try to work together even though Philips racial prejudice gets in the way. Reason You Should Read It: This is described as a children’s novel but I think that reading it as a teen you would understand a lot of things that you wouldn’t necessarily get if you read it in middle school. Synopsis: A fantasy series that takes off when Harry Potter finds out that he is a wizard and gets accepted into a magical school. Reason You Should Read It: Every teen should pick this book up while waiting for their letter from Hogwarts School of Witchcraft and Wizardry. (Just kidding, but every teen should have an enjoyable book to read. Top Books Every Teen Should Read by Zahra is licensed under a Creative Commons Attribution-ShareAlike 4.0 International License. Christian Persecution Then and NowWhy is Islam the most misunderstood religion in the world? 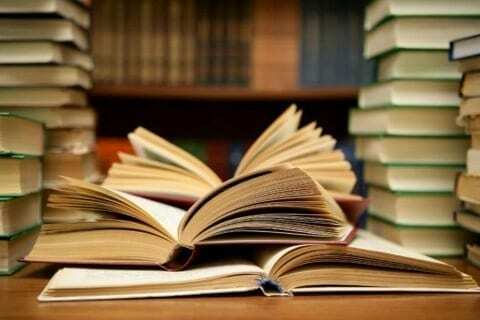 I really like your passage, you gave me many wonderful choice of books. I only read To Kill a Mockingbird and some of the Harry Potter books. Actually this summer I will have plenty of time to read, I will definitely chose some of books you recommend. The first one will be The Cay. After all, I do like your opinion about teenagers reading issue. The books you showed were really great. I have only read some of the Harry Potter books. But the collection of books looks really interesting. I think I’m going to be reading more of these books. I read the Harry Potter books and they are really long and I am currently reading Harry Potter and the Half-Blood Prince and it is really good and I love the story of it. I think that was a great list of books that I should try to read sometime. Awesome selection of books. I have read four out of five of them and I loved them all. I need a new book so thanks for the suggestion of The Cay. I have never heard of it. I think I will read it next. Your summary skills are great too. And thanks for posting this list. I know a lot of people who don’t like reading but they have to. I will show them your piece for book recommendations.